Let's Do It for ME! : New Total £29,000! Invest in ME (IiME) has, as an objective, to make a change in how ME is perceived and treated in the media, by health departments and by healthcare professionals. 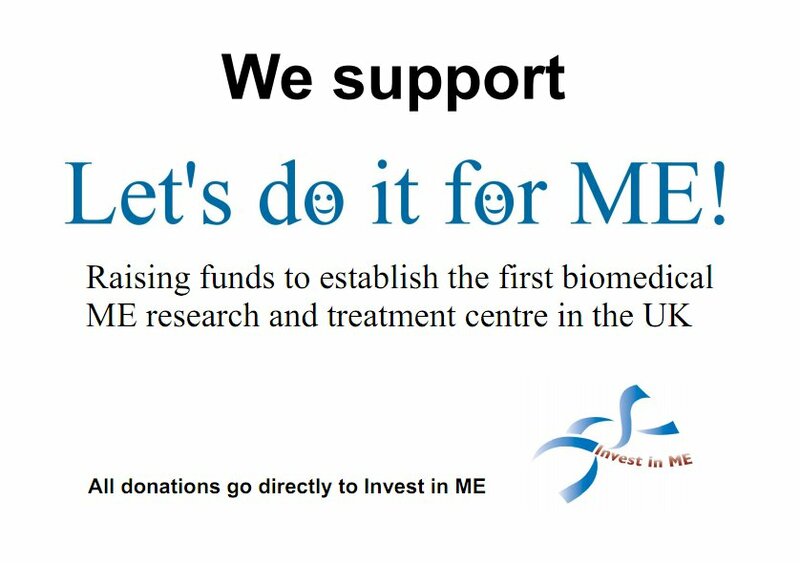 We aim to do this by concentrating our efforts on three main areas - funding for biomedical research into ME, education of healthcare professionals, the media and the public and lobbying for improvement in the treatment of people with ME and their families. We have no membership fees and try to offer as much as possible for free, or at cost price. Our efforts are focused on setting up a UK examination and research facility which will provide proper examinations and diagnosis for ME patients and a coordinated strategy of biomedical research into ME in order to find treatment(s) and cure(s). 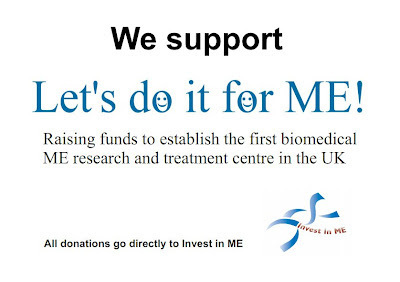 The Invest in ME biomedical research fund, aimed at funding biomedical research into ME based in Norwich, Norfolk, has now reached £29,000. We applaud the vision, dedication, positive attitudes and sheer hard work being performed by this wonderful band of supporters and the Let's Do It for ME campaign. Extraordinary efforts from outstanding people who are not content to just stand still but wish instead to make progress. We believe this campaign will make a difference. Support ME Awareness - Invest in ME - Let's Do It for ME!